Fun Fact: I’m obsessed with collecting National Park cancellation stamps. It’s so bad that I’m often teased by both family and peers about my need to add one more ink circle to my stamp book. It all started when I lived out west and I grew restless with my situation. I felt that my life was stagnant and long drives across the state satisfied my craving of moving forward. Since then, I’ve been hooked. I love the challenge of reaching remote places and exploring what many never venture to see, be it natural wilderness or historical landmarks. 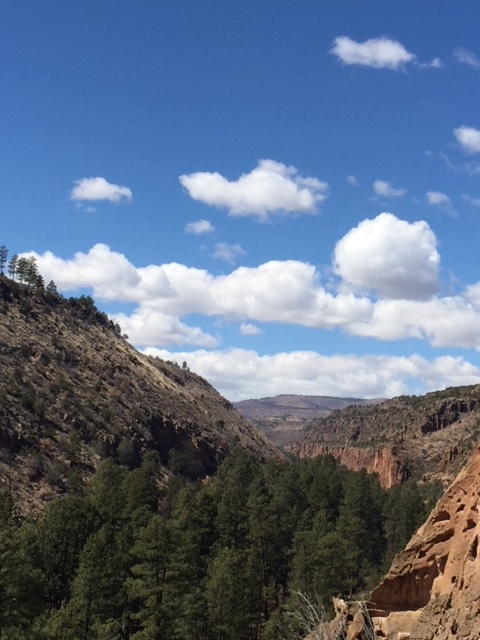 So when I found out months ago that I was to fly to Tempe for my company’s annual meeting, I instantly craved to extend the trip into a cross-country adventure. For the past two weeks, I’ve been away from the comfort of my home—2,000 miles away to be exact. My plane landed in Albuquerque, I snagged my car rental keys and I was off on another backroads excursion. Life became a series of highways that rolled with the landscape, sometimes switchbacking through rough terrain and sometimes straight as an arrow through tumbleweed desert. My travels led me to witnessing a documentary crew filming chatty colonies of prairie dogs as well as crossing paths with a large herd of elk stampeding down a mountain. Don’t worry. I took that as my sign to turn around. I also found myself in close-call snafus, such as driving on a 20-mile rocky dirt road during a surprise heavy rain shower and cruising into Flagstaff during a whiteout snowstorm. You probably expect me to say that I plan to weave all these adventures into one story or another—but I’m not. Sure, many of my story ideas stem from my personal and travel experiences. But that’s not how solo traveling impacts my writing. For many months, I let myself get caught up in the rush of routine. I’d wake up at 4:30AM, go for a morning jog, head into a solid workday, then return home where adulting chores await before crashing into sleep. I chose the hamster wheel way of living so that my responsibilities wouldn’t slip through the cracks. 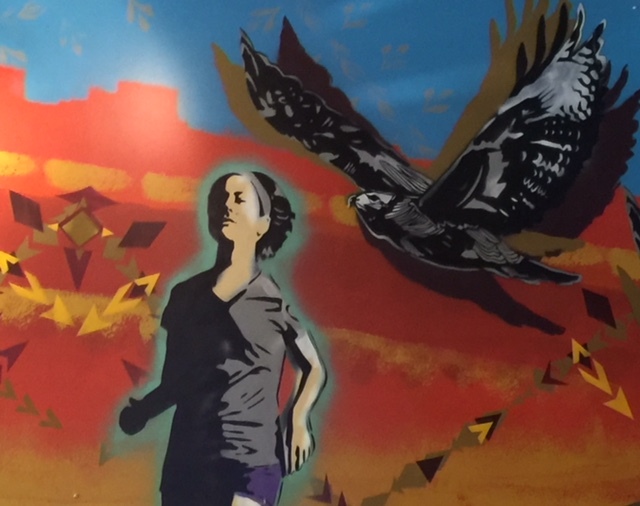 I also paid homage to my running portrait painted on the store wall of Run Flagstaff. If I’m honest with myself, I dreaded the arrival of this trip. I grew so comfortable with this controlled timeline that stepping off the steady treadmill was daunting. But since I booked all my travel accommodations, there was no turning back. It felt like I was entering Act II of my own story. I had my epiphany while hiking the backcountry road at Valles Caldera National Preserve. I was alone in the cold surrounded by clear skies, snow-capped mountains and silence. Away from the hustle and bustle of life, I finally had the clarity to think critically and creatively about my writing. Where did I want my writing to go? How can I make this story stronger? 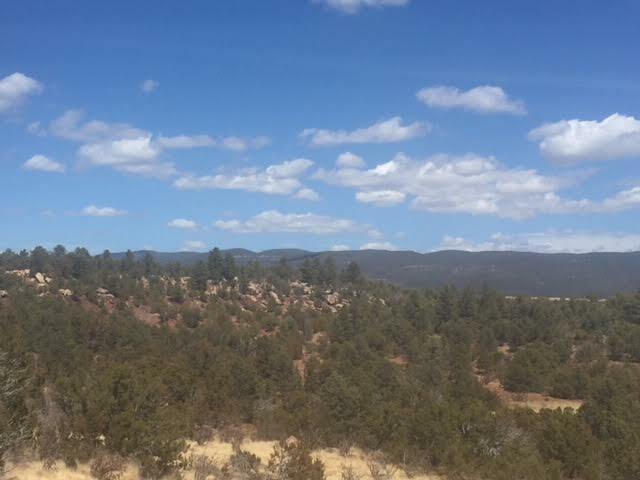 As I inhaled deep breaths of fresh ponderosa pine air, I deduced all the places where I could enhance my current writing project. I didn’t have all the answers, but I now knew where to start. Since it was only me in the car, I spent several of my highway hours listening to a writing podcast that focused on the specific craft of plotting. Having the story plot broken down in this way gave me the insight I needed in solving the issues I identified but didn’t have the answer. Traveling with a companion is a cherished experience that you can share together both in the moment and in the future. But traveling with a companion means filling that beautiful bliss of calm with noise-filling conversation. While many of my best trips were shared travel experiences, there are just some adventures that you need to take alone. You can’t center your writing within a crowd. By stepping away, even for a day, you can reevaluate your writing decisions and goals before jumping back into the action of manifesting them into your life. After this experience, I returned to the daily patterns of my life with more vigor. It’s easy to forget the power of stepping away. In theory, it sounds like quitting. In actuality, it was the best way for me to renew my passion for my work as well as refocus my perspective on my writing. What’s my next adventure? That is something I have yet to decide. How does solo traveling impact your writing? Share your stories in comments section below.